The Swedish Institute Study Scholarships (SISS) is the Swedish government’s international awards scheme aimed at developing global leaders. It is funded by the Ministry for Foreign Affairs of Sweden and administered by the Swedish Institute (SI). The Scholarships target highly-qualified students and are awarded for studies in Sweden starting in an autumn semester. The scholarships are intended for full-time master’s level studies in Sweden and cover both living costs and tuition fees. The programme offers a unique opportunity for future leaders to develop professionally and academically, to experience Swedish society and culture, and to build a long-lasting relationship with Sweden and with each other. Applicants must come from a SISS-eligible country (see below), and show proof of work and leadership experience. Ideal candidates are ambitious young professionals with academic qualifications, demonstrated leadership experience and a clear idea of how a study programme in Sweden would benefit their country. Afghanistan, Bangladesh, Burkina-Faso, Cambodia, the Democratic Republic of Congo (DRC), Ethiopia, Kenya, Liberia, Mali, Mozambique, Myanmar (Burma), Rwanda, Somalia, South Sudan, Sudan, Tanzania, Uganda, Zambia and Zimbabwe. Brazil, Colombia, Egypt, Ghana, Indonesia, Iran and Vietnam. Candidates with citizenships from countries on the DAC list of ODA recipients(pdf) other than the above mentioned and those countries included in other SI scholarship programmes, can apply within this category. About 550 different study programs at Swedish universities are eligible for a scholarship. Eligible programs are selected by Swedish universities and cover a wide variety of study areas. The scholarship is only awarded for programs starting in the autumn semester (August/September) and is intended for full-time master’s level studies of one or two years. It is granted for one academic year, i.e. for two semesters at a time. It will be extended for programmes longer than two semesters provided that the student's study results (courses/credits) are satisfactory. The granted scholarship period cannot be altered or extended beyond the study programme period nor can the scholarship be transferred to another study programme at a Swedish university. The scholarship covers both tuition fees (paid directly to the Swedish university/university college by the Swedish Institute) and living expenses to the amount of SEK 9,000 per month. There are no additional grants for family members. Scholarship holders from countries on the DAC list of ODA recipients receive a travel grant in connection with their scholarship. The travel grant is a one-time payment of SEK 15,000. Scholarship holders are insured by the Swedish State Group Insurance and Personal Insurance against illness and accident during the scholarship period. All SI scholarship holders become members of the SI Network for Future Global Leaders (NFGL) – a network which offers exclusive opportunities for SI scholarship holders during their stay in Sweden. The application process consists of two steps. The first step will take place through an online application form. Successful candidates will be notified, and asked to submit a detailed application for the second step. The two-step application process aims at offering transparency in the selection process. 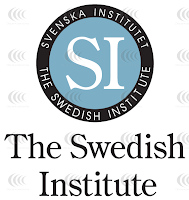 The application process and the selection criteria for the Swedish Institute Study Scholarships are separate from the application process to master’s programmes at Swedish universities. You must first complete your separate application to the master’s programme(s) before the university deadline 15 January 2018. You apply to your masters programme by using the national online application service University Admissions. It is important to read the SISS – Application procedure and key dates and also visit the official website (link to it is below) for complete information on how to apply. The scholarship application consists of two steps, the first step will be open 16 October 2017 – 15 January 2018 at 24:00GMT, followed by a detailed second step for successful candidates from the first step, 2–9 February 2018. The Swedish Institute Study Scholarships (SISS) target highly-qualified international students and are awarded to students from selected countries. The scholarships are intended for full time master’s level study. In the past, few scholarships were reserved for studies at Bachelor’s level.